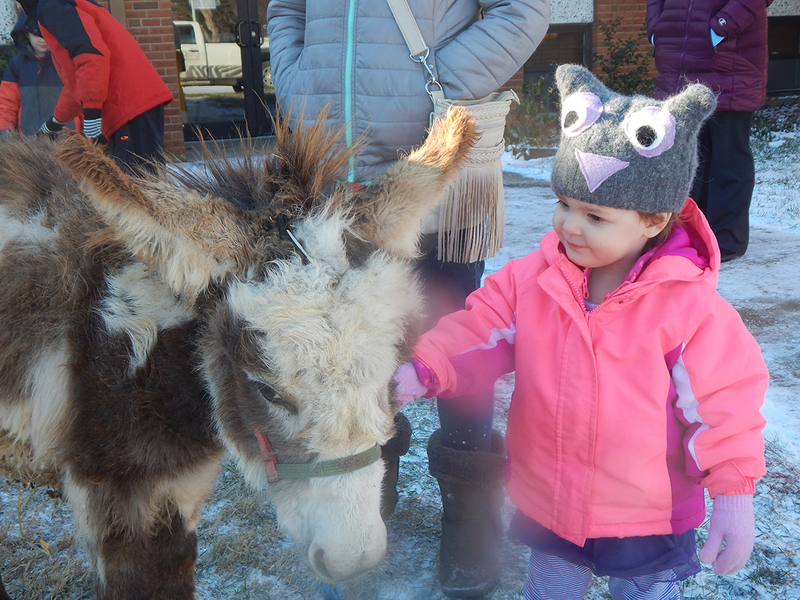 O’FALLON – In spite of the drastic drop of temperature, O’Fallon First United Methodist Church braved the weather and hosted their annual birthday celebration of Jesus Christ where families were invited to spend some time with a small group of animals as part of the church’s live nativity display. Natalie Williams making a friend as she slowly reaches out to pet the donkey. 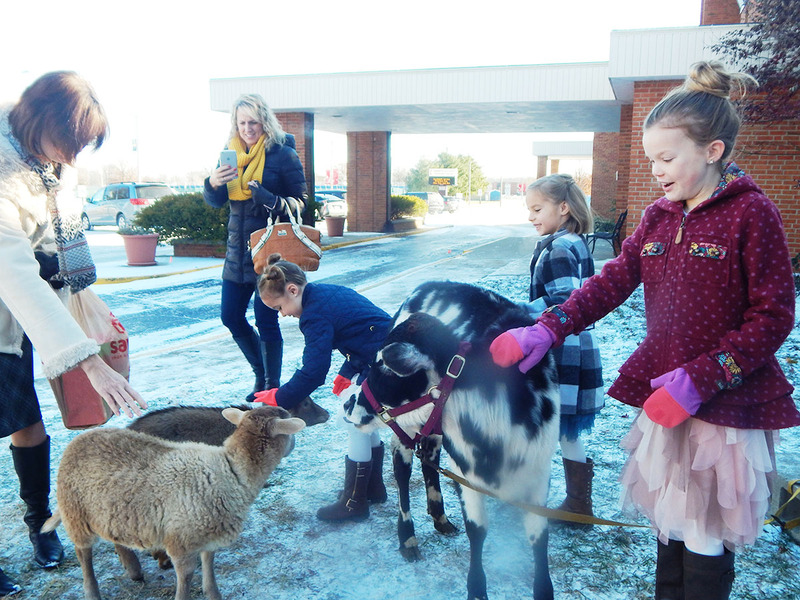 Children of the church coming together to pet the animals. 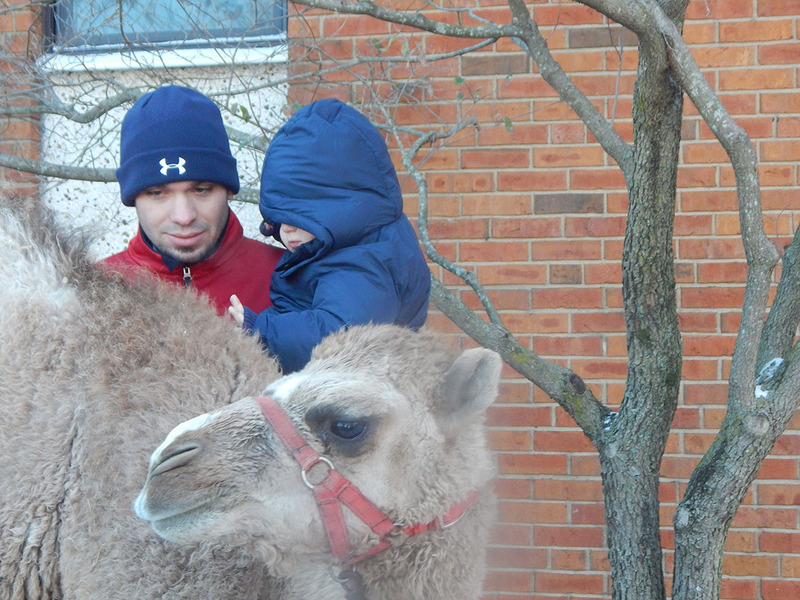 OFFUMC Youth Director Brad Lewis introduces the camel to his son, Landon.